(02.09.2010 , FRANKLIN, Tenn.) Nissan North America, Inc. (NNA) has announced pricing for the 370Z 40th Anniversary Edition, which is scheduled to go on sale in late February 2010. 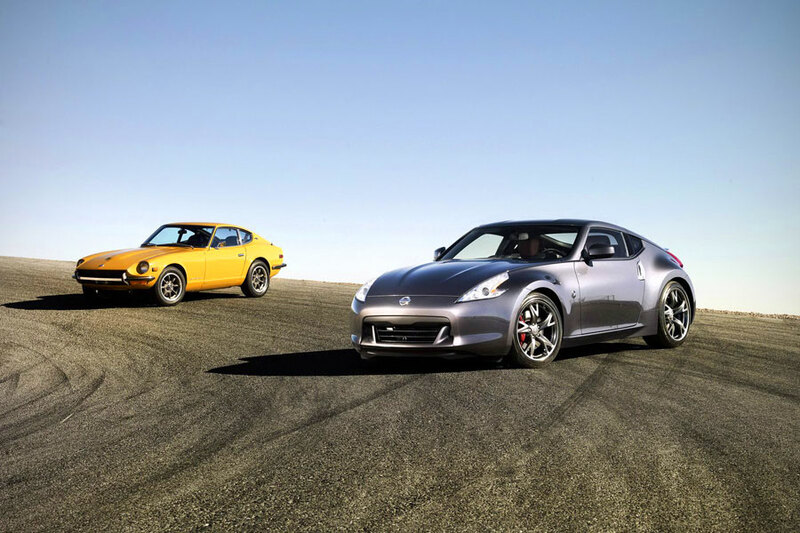 Created to celebrate the 40th anniversary of the original Datsun 240Z, the 40th Anniversary Edition starts with the 370Z Touring model equipped with Sport Package and 6-speed manual transmission then adds unique special equipment. The Manufacturer's Suggested Retail Price* (M.S.R.P.) is $38,860 USD. The 370Z 40th Anniversary Edition will be limited to 1,000 units. 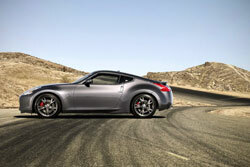 Along with the standard 370Z Touring and Sport Package features -- including SynchroRev Match, front chin spoiler, rear spoiler, Nissan Sport Brakes, 19-inch Rays forged aluminum-alloy wheels and viscous limited-slip differential -- the 40th Anniversary Edition adds a unique, premium "40th Graphite" exterior color and special red leather-appointed interior. Other exclusive 40th Anniversary Edition equipment includes a high-luster smoke wheel finish, red brake calipers and 40th Anniversary badges on the rear hatch and front shock tower brace. Inside, along with the red leather-appointed seats, are red door panel inserts, 40th Anniversary debossed seatback and floormat embroidery, red stitching on the center stack, shift boot and kneepads, smooth leather steering wheel with red stitching and an interior 40th commemorative plaque of authenticity. Every 40th Anniversary Edition Z also comes with a commemorative premium satin car cover. Along with the 40th Anniversary Edition, the 2010 Nissan 370Z Coupe is available in two well-equipped models: 370Z and 370Z Touring and in a special edition NISMO 370Z -- starting at $29,990 (6MT), $34,660 (6MT) and $39,190 respectively. A 2010 Nissan 370Z Roadster, with fully automatic cloth convertible top, is also offered, starting at $36,970 (6MT). All prices are USD. All 2010 Nissan 370Z models are equipped with a standard 3.7-liter DOHC V6 engine with Variable Valve Event and Lift Control (VVEL). The engine is rated at 332-horsepower for the 370 Coupe and 370Z Roadster, while the NISMO 370Z Coupe is tuned to produce 350 horsepower. Buyers also have a choice of 6-speed manual transmission with an available SynchroRev Match synchronized downshift rev matching system or a 7-speed automatic transmission (NISMO 370Z and 40th Anniversary Package are available with 6-speed manual transmission only). Crisp handling is once again provided by a 4-wheel independent suspension. Drive Navigation System with 7-inch VGA touch-sensitive display, 9.3GB HDD Music Box, USB connectivity and iPod connection, XM NavTraffic with Real-Time Traffic Information and XM NavWeather (XM subscription required, sold separately), automatic phonebook download (select phones) and Bluetooth Streaming Audio; Nissan Intelligent Key and a Bluetooth Hands-free Phone System. * MSRP excludes applicable tax, title, license and destination fees. Dealer sets actual price. Prices and specs are subject to change without notice.